When I left the teaching world, I had in mind, never to teach again. Apparently that is not possible… Once a teacher always a teacher. The first few days in Auroville I had the opportunity to visit schools for the children of neighboring villages. As a teacher I was drawn to the openness of the young children. The first school is called Isai Ambalam. This is a primary school starting at the kindergarten level up to about the equivelent of 6th grade. 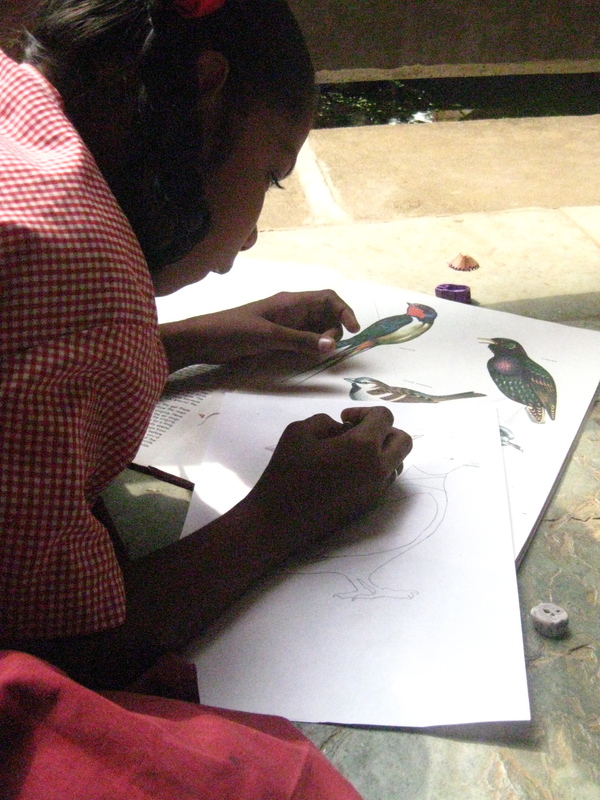 Education in and around Auroville is not your traditional education. Many schools in the local villages still believe in physical punishment, and in many cases the children do not go to school at all. 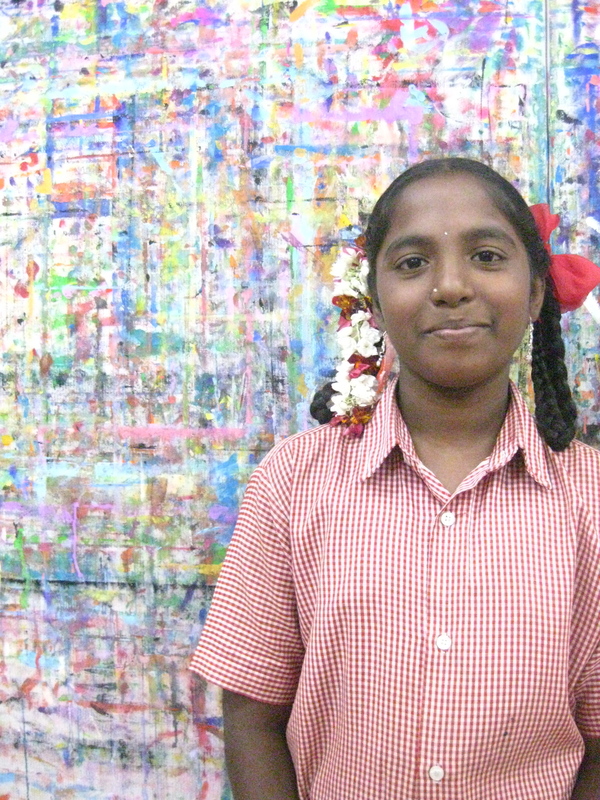 Auroville has opened its doors to provide a safe learning environment for these children. When visiting these schools you cannot walk into a school with a set image in mind about how the class is being led. This school and many others use alternative methods of teaching. I am not saying there is a right way or wrong way. Many of their methods of teaching actually involve a lot of learner led instead of teacher led classes. What concerns me the most about this school in particular is that many of its teachers have not been suitably trained and do not have the knowledge necessary to successfully teach the students. The school itself is testing out new methods of teaching but unfortunately does not have the proper training to assess and evaluate whether or not the students have acquired or mastered the objectives and competencies required. It is difficult to say you want to be a model school, when you have no verification whether or not your methods are successful. On the other side of town we visited another school – Udavi school – which provides education to children from surrounding villages at very low cost. Our visit to this school was a great experience. Eric, a history-geography teacher there, had a group of his students guide us around school. These are all young Tamil children, there english was very strong and the willingness and their wanting to learn was visible in every action they took and word they spoke. These are children from surrounding villages who some before coming to the Udavi school were abused by teachers and definitly limited to their learning experience. Here at Udavi the children demonstrate an ownership of the school, by the school’s cleanliness, and especially by how they presented the programs to us visitors. Like many other schools in and around Auroville the classes are definitely not your standard classrooms, yet learning is constant, Udavi in particular prepares the students to pass the national standard tests after the 10th standard (grade). The members of faculty are continually adapting to the students making changes in their teaching styles to accommodate the learner; as a teacher at the Udavi school you are as much a teacher as you are a learner. Each child has his or her own level of motiviation that varies with subjects, therefore the class is often designed to focus on what the learner wants to learn, resulting in greater success, retention and continual learning; this does not mean it is playtime all day, because the students have greater control over what they learn, they individually are more motivated. Udavi offers classes that educate the students both on an academic scale as well as vocational. Learning is combined in a variety of forms, learning through physical activity and sport, visual and performing arts, manual work… If you’ve studied Garner’s theory of multiple intelligences: Linguistic words and language/ Logical-Mathematical logic and numbers/ Musical music, sound, rhythm/ Bodily-Kinesthetic body movement control/ Spatial-Visual images and space/ Interpersonal other people’s feelings/ Intrapersonal self-awareness. (Find out more about Gardner’s theory here) You could claim the Udavi school follows Garner, it provides a variety of tools to help each student learn the best they can and how they learn best. As a teacher the environment for learning provided by Udavi is an ideal one; many of their methods and approaches on teaching I tried implementing in my own classes, but state requirements limited how alternative or flexible teaching could be. Here in Auroville the open mindedness in education has its blessings and troubles; it is difficult to find evidence whether or not the opportunities provided to the children of the villages allow them to expand outside Auroville. It would be interesting to continue observing the classes more at Udavi and see whether or not it could be used as a model school demonstrating successful alternative forms of education. I personally am looking forward to the opportunity to observe in more depth the methods used at Udavi, and see the results of such methods with their older students; as well as long term results observing a group of students from their first year at Udavi all the way through.